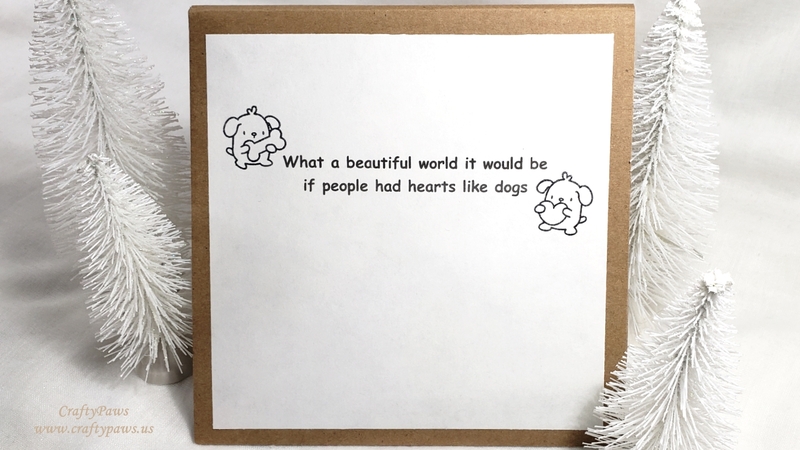 A dear crafty friend who is a fellow dog lover (Cathy aka on YT: Huckleberry Herbs and Art), is hosting a challenge asking folks to create anything they like related to the theme “Peace and Brotherly Love.” Recently, I saw this wonderful quote: “What a beautiful world it would be if people had hearts like dogs,” and I knew that would be the inspiration for my project. I sketched out a peace symbol using some circle dies to help get the general framework and doodling an upside-down Y down the middle. 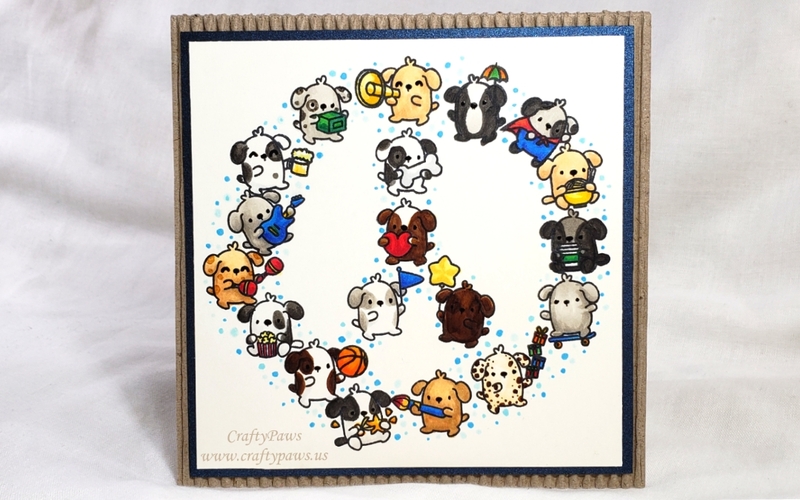 Then using an old school Stamp-a-ma-jig, a Fiskars acrylic block, and Momento Tuxedo Black Ink, I stamped out the adorable puppies from the Mama Elephant “Little Dog Agenda” stamp set in the shape of that peace sign to create this single layer card. Thanks for the lovely comment! Happy New Years! Love your card! You are so creative! 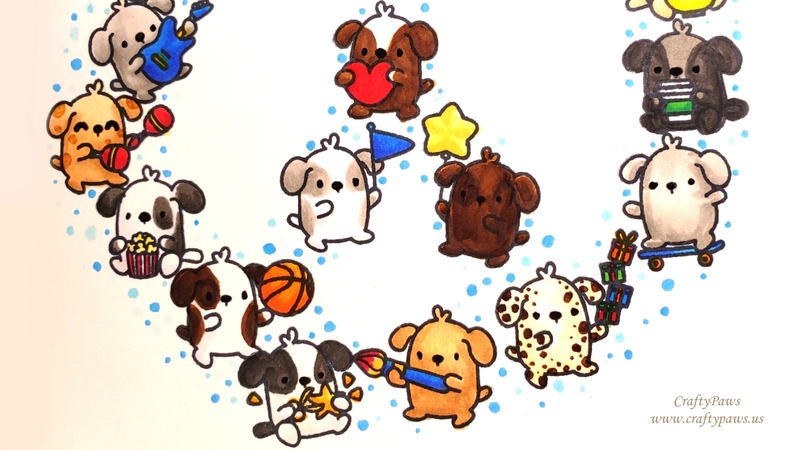 Thank you so much for entering our ATG challenge at Crafter’s Castle this week. We hope to see you next time too! I am also a dog lover… I have three furbabies of my own and I love them as if they were my children. I absolutely love the sentiment in your card! Your card is adorable Kristina. Thank you dear, Janie! 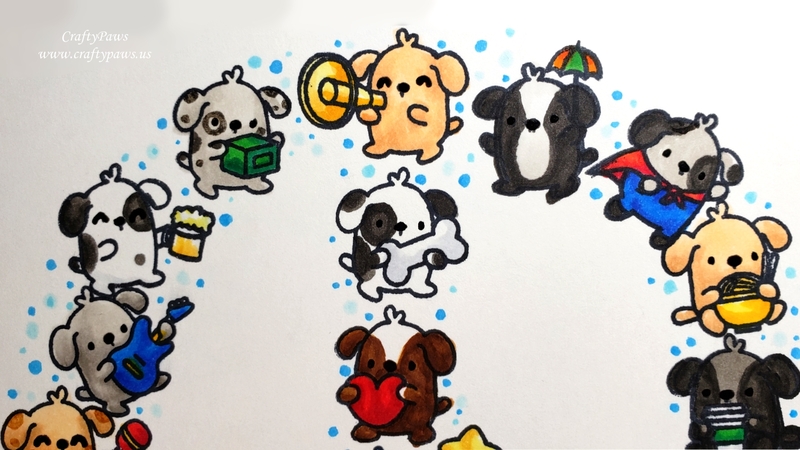 From one dog lover to another, happy new year! What a beautiful project! I love it! 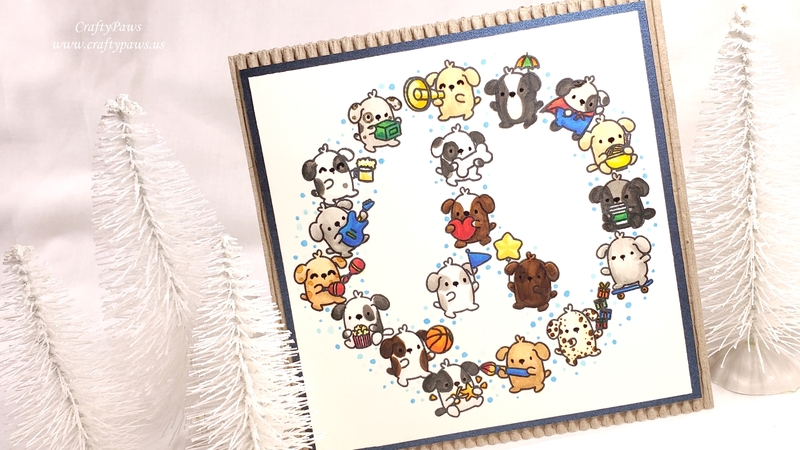 Thank you so much for joining us in our challenge at Crafty Gals Corner. Looking forward to see you again next challenge. Thanks so very much Judy! Another cutie! Thank you so much for entering our ATG challenge at Crafter’s Castle this week. We hope to see you next time too!